The KDC500 combines chip-and-PIN and MSR payment transaction technology with 1D/2D barcode scanning and NFC capabilities that support Android, iOS, Mac, and Windows mobile/PC over Bluetooth technology. 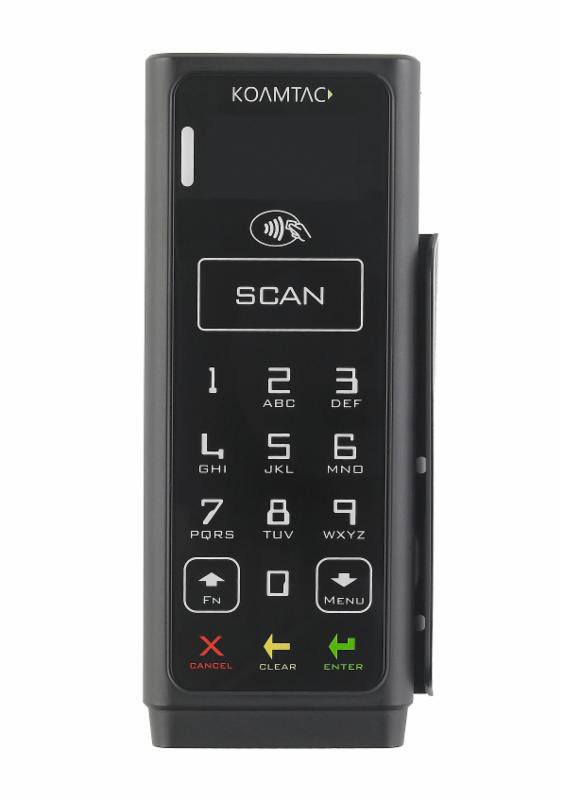 January 8, 2015, Princeton, NJ- KOAMTAC®, Inc. today announced the release of its new KDC®500 Mobile POS Companion, the newest addition to its KDC product line. 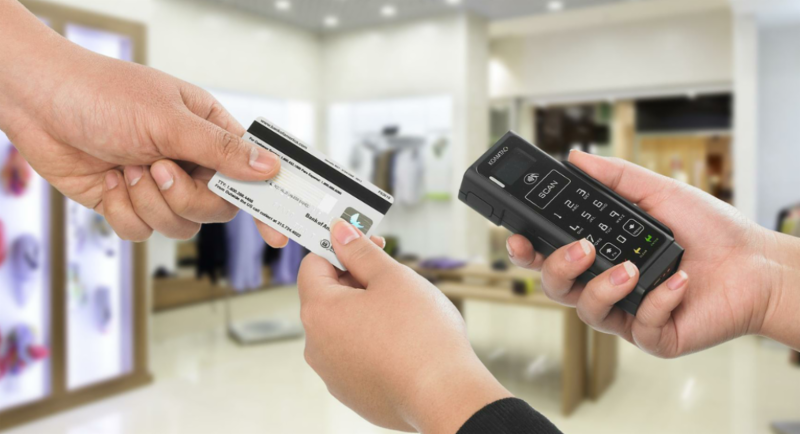 The KDC500 combines chip-and-PIN and MSR payment transaction technology with 1D/2D barcode scanning and NFC capabilities that support Android, iOS, Mac, and Windows mobile/PC over Bluetooth technology. Measuring a scant of 49mm wide by 117mm tall and 25mm thin, the KDC500 is a sure fit grip for users, uniquely designed for any sized hand. Its design is complete with a back-lit LED keypad and ergonomic multi-case form factor that is ideal for all high-end major retailers. design provides a secure and convenient user payment transaction and barcode scanning experience. Chip-and-PIN payment solutions are becoming the global industry standard and as a result, KOAMTAC has developed the most advanced mobile payment companion. Being that it has a traditional magnetic stripe reader, as well as the newly implemented EMV functionality, the Mobile POS Companion allows businesses to take payments with existing swipe cards, as well as support those implementing the newly adopted EMV systems without changing of solutions. "KOAMTAC has built a complete Bluetooth barcode data companion portfolio over the last 10 years, and continues to provide the most compact, power efficient devices on the market," stated Dr. Hanjin Lee, President and CEO of KOAMTAC. "The KDC500 is 50% smaller and lighter than its competitors, but with its ultra-efficient power management technique it enables a long lasting operation; up to a few weeks on a single charge." The KDC500 comes complete with a 1D laser or 2D imager barcode reader option. The 1D laser barcode solution provides an economical and fast scanning experience for budget conscious projects. The 2D imager provides a high-end scanning solution that provides generous barcode scanning capability and the ability to scan all major 2D barcodes, such as QR and PDF417 codes. The EMV/MSR/NFC features provide full transition options with innovative KTSync® data collection and application generation tools. KTSync will have both barcode and payment configuration options available. KOAMTAC, Inc. Headquarters is based in Princeton, New Jersey and produces a signature line of lightweight, ergonomically-friendly Bluetooth . The company is also dedicated to environmental conservatism, while maintaining the quality expectations of its consumers. With its unique patent design, all scanners reduce the company's carbon footprint and provide consumers with a durable and enhanced solution. All products are universally compatible across current technology platforms, and offer seamless use with iPhone/iPod touch/iPad, Android, Blackberry, Mac and Windows-based devices. The KDC20, KDC30, KDC100, KDC200, KDC250, KDC300 and KDC350 are the world's smallest and lightest programmable barcode data and card readers with a display on the market today. The KDC400-Series are patent-protected modular sled accessories for single-handed utility. For additional information or to place an order, visit koamtac.com. KDC®, KoamTac®, and KTSync® are trademarks of KOAMTAC, Inc.
iPhone, iPad, iPod Touch and Macare registered trademarks or trademarks of Apple®, Inc., in the U.S. and/or other countries.